[quote]The map to Red Dead Redemption 2, a long-rumored sequel to Red Dead Redemption, has reportedly leaked online. The source also told Techradar that Red Dead Redemption 2 would be a prequel and the map will be set just to the east. Looking at the map more closely in the bottom left corner, you’ll notice the Great Plains area and Blackwater city, which were featured heavily in Red Dead Redemption. Another interesting note is the city of New Bordeaux, seen in the bottom right. The city is the backdrop to the upcoming Mafia 3, which is published by Red Dead publisher Take-Two. 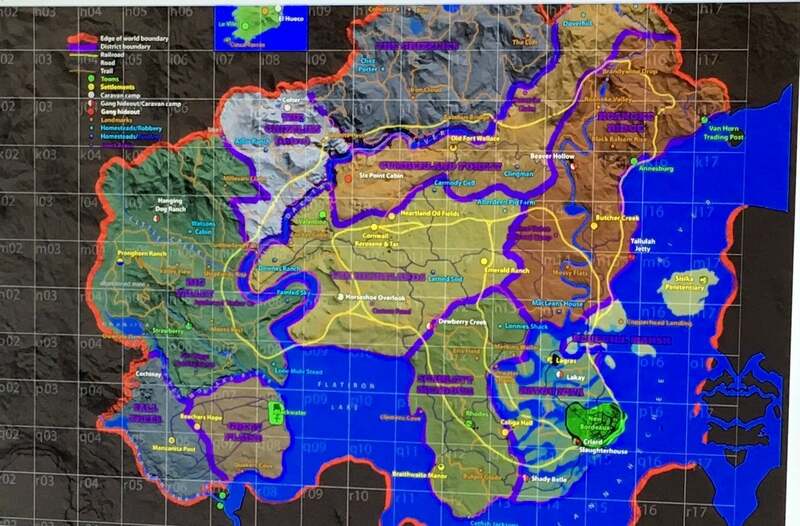 Could we see some sort of crossover?What’s also interesting is the prevalence of water and islands on the map, suggesting swimming and boating as new ways of transportation. It also looks like players will traverse a plethora of different terrains, including plains, deserts, swamps, and snowy mountains. We’ve reached out to Rockstar for comment and will update the story if we hear anything back. Guess we wait till E3?